Imagine a full day out behind the wheel of a brand new Mini Cooper or even the fabulous Cooper S. Sounds good? Well now add in a series of tricky trials: Rally navigating, country road routes, forest target shooting; riddle solving; code cracking and challenge beating. Don’t forget a breakfast and coffee before you start; a spot of lunch in a countryside Inn half-way through and a libation at the end in a London pub. Oh, and did we mention you would be driving a brand new Mini Cooper for the day? And all from the ridiculous price of £159 per person. What an event this is going to be…. 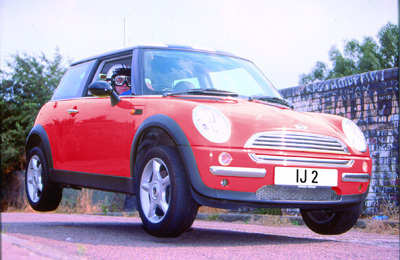 Equipped with a brand new Mini Cooper and all the gear you need, you will have just one day driving through the backroads and scenic countryside of the Home Counties to outwit the rival teams and amass enough points throughout the day in a series of challenges to secure outright victory. At the morning briefing in London the details of the ‘Adventure’ will be revealed over breakfast before the wheels start rolling and the fleet of Coopers head out of town. Welcome to the Mini Adventure. The team in each car will need to navigate around the city and the lanes of Surrey and Berkshire so you’ll need to be pretty handy behind the wheel. You will also need to crack some tricky codes along the way so you had better come with your thinking cap on. Add in some driving tests, map reading trials, shooting competitions and lunch at a traditional village pub and it’s safe to say you won’t have experienced a team building day quite like it before! » Post hit libations – but only if you liberate the cash!